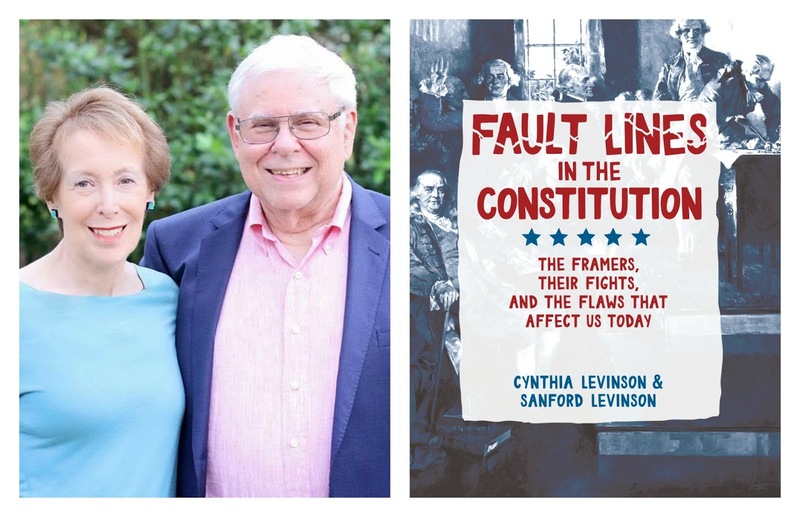 In a conversation about their forthcoming book, authors Cynthia and Sanford Levinson describe their process for creating Fault Lines in the Constitution and explain why it's a much-needed addition to the canon of books about the Constitution for young readers. Cynthia: When we started working on the book in June 2012, we actually did know that it would be timely and relevant. We just didn’t anticipate in what ways it would be timely or how interested the public would become in the Constitution. Sandy: I’ve long believed that our founding document is at the root of many problems in American politics but that people aren’t aware of it. My first book on this issue, Constitutional Stupidities, came out in 1998—nearly 20 years ago. Since then, I’ve written three more books on how the Constitution promotes injustice, gridlock, and undemocratic decision-making. Q: President Donald Trump has said the Constitution is “archaic.” Do you agree? Sandy: Yes, we agree with the president’s statement that the Constitution is archaic. As we write in the book, Supreme Court Justice Ruth Bader Ginsberg made the same point during a visit to Cairo in 2012. Their reasons for saying so, though, are probably different from each other’s. The document has proved to be at least somewhat dysfunctional since 1787 and simply does not serve us—a 50-state nation spanning over 5,000 miles and encompassing 325 million people—very well while facing 21st-century threats. 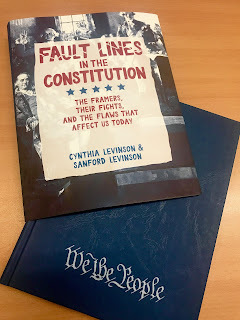 Sandy: Fault Lines in the Constitution is different from other books for young readers in two major ways. First, the book focuses on the structure of our government, rather than on the rights that we have as citizens, as many other books do. Second, it focuses on how the Constitution does not work, rather than on what a great job the Framers did in creating our form of government. So, we don’t proceed through the document in order, explaining each section. Cynthia: To give examples, with the exception of issues surrounding habeas corpus, we don’t discuss the Bill of Rights much at all. Instead, we highlight the inequities caused by the fact that every state, no matter the size of its population, has two votes in the Senate. Furthermore, we bore in on such problems as states having control over voting procedures and restrictions on running for Congress. At the same time, we unabashedly leapfrog over entire articles! Fault Lines can engage young people in civics class because it’s honest. And, it doesn’t all take place in the 18th century! Unlike most books, which laud the Constitution and the Framers, ours is candid about specific ways that the Framers’ compromises affect all of us, including kids, today. We also describe other—frankly, better—ways of doing things, such as registering voters and electing presidents. Our democracy may be the oldest but we’ve hardly worked out all the kinks. Students will find it enlightening to look at other models. We hope teachers will take advantage of Fault Lines to re-introduce civics into daily debates and discussions. And, surely, everyone will want to give the Constitution a grade, the way we do! Q: Does Fault Lines in the Constitution present a particular political perspective? Sandy: We believe the book is fair and even-handed. We are particularly pleased that people with a range of political views support Fault Lines. Journalist Dan Rather and Ted McConnell, who is executive director of the Campaign for the Civic Mission of Schools, as well as Wallace Jefferson, a Republican former chief justice of the Texas Supreme Court, all endorsed the book.